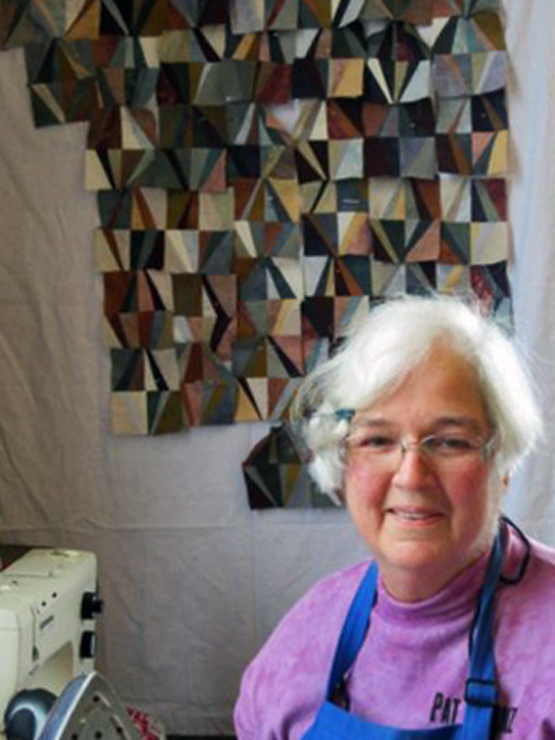 Since my blog is in the going through dating process, here’s a catch you up on where you can see my quilts or check them out on other websites. My quilts travel more than do. Sometimes I wish I could follow them to places like Paducah, Houston, Chicago – even Brazil and Europe. But if I did, I wouldn’t be home to create my new art pieces. 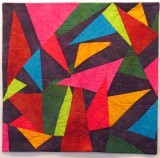 “Match Sticks,” juried into another SAQA show “Metamorphosis,” http://www.saqa.com/memberArt.php?cat=8&ec=3&ex=90 debuted in November at the International Quilt Festival in Houston. Metamorphosis’ next venues will be: Quilt Festival Chicago: March 28 – 30, 2019; AQS QuiltWeek, Grand Rapids, Michigan, from August 21-24, 2019; and at AQS QuiltWeek Fall Paducah, Kentucky, from September 11-14, 2019. “Sorok,” an older quilt & the first of my “chain” quilts, is at the Pacific Northwest Quilt & Fiber Arts Museum in LaConner, WA through January 31, 2019. It is part of Contemporãneo—Contemporary II, www.qfamuseum.org/exhibits.html The quilts on the second floor were from exhibitions that CQA sent to Brazil. The third floor are quilts for the same exhibitions created by Brazil artists. Happy Holidays! I hope yours are as fun, family, friends and frolicking as mine! Actually I’m looking forward to packing up the Christmas wrap, which has taken over the cutting table in my studio, and getting back to work. I have several projects that need re-acting, finishing up and/or discarding. How do you get back in the art mode after “life” has usurped your time and space? Clean and organize your space? Finish up those UFO’s? Make some resolutions? I work on those things, but I figure it’s a new year. There are lots of new ideas in my heads and new tempting techniques. I’m going to start a new project – something fun, something “out of the box”, something to get my rotary cutter and sewing machine working. It might not “work” but I’m looking forward to starting as the year starts. In the meantime, have a wonderful end-of-the year. I’ll cut this short to let the dog out and put a batch of cookies in the oven.